After having such a happy day yesterday, we had a sad day today. 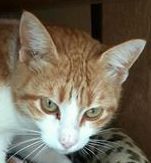 Oliver was already in quite a bad state these last months as he had kidney failure and besides this he was never a healthy cat. 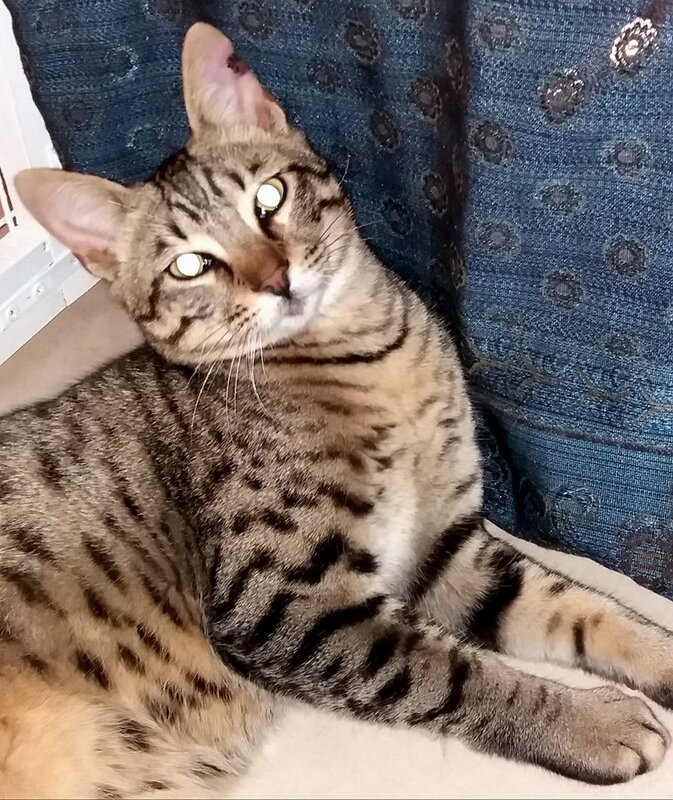 He was brought here as a kitten because nobody wanted him… he had his head tilted and had a neurological problem. He was very welcome here and he always lived a happy life but these last months he became worse every day; he didn’t want to stay in the garden anymore and only wanted to be inside our house, so we let him in and he always stayed inside these last months. 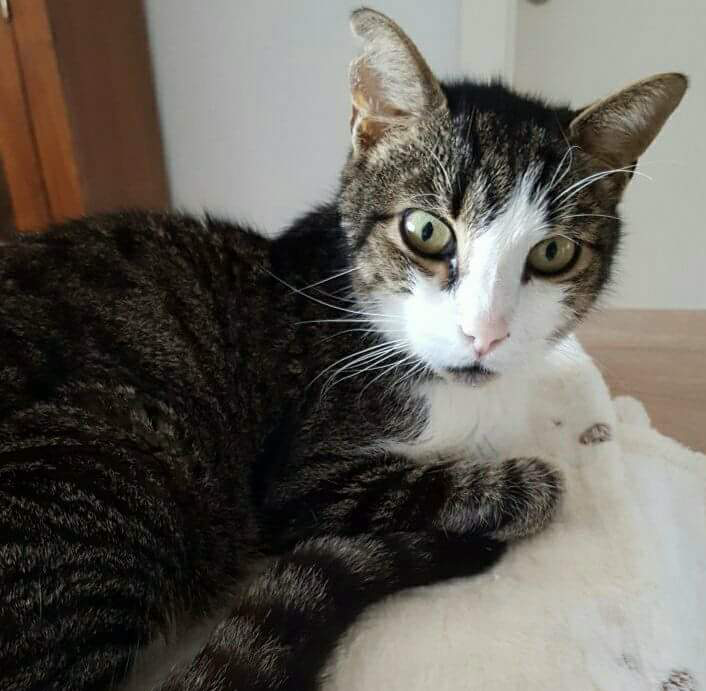 Yesterday we saw already that he was on his last legs so we expected that he was going to leave us soon and this morning he passed away peacefully. Very sad but at least he had a very happy life, died in our loving arms and didn’t have to suffer. This morning we got a BIG happy surprise! 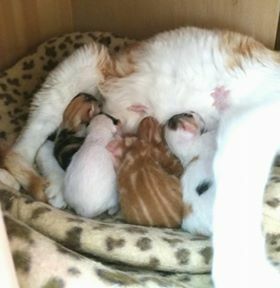 Mama Sofia surprised us with 5 kittens! They all look healthy and they are all SO beautiful! All we can say that we are VERY happy with this new experience and we’re acting like very proud (grand) parents! Last night we saw that Bruno could hardly walk, he was falling on a side, so we were VERY worried and took him to the vet today. X-rays were made and fortunately nothing serious is wrong: most probably he fell and bruised the beginning of his tail and the only thing we can do is giving him pain killers. A pregnant cat was brought here in the evening; she was caught in a colony in Mellieha and we were asked to keep her here so she could have her kittens inside. 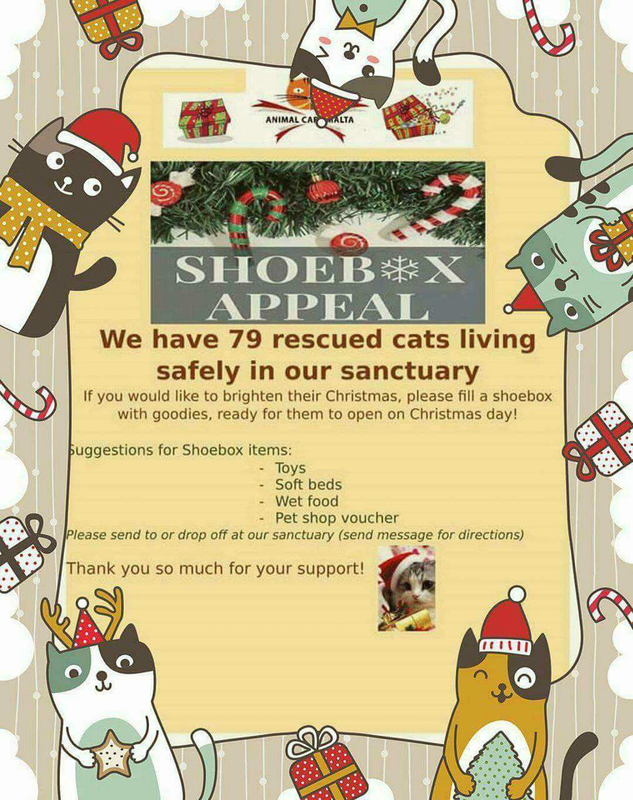 We were far from happy with this as, although we like to help every cat, we don’t agree with keeping cats for a long time in a cage and we didn’t have a room available because both our kitten rooms were occupied by kittens. The lady who brought her here told us today that she would release her again in the colony but, as expected, we didn’t have the heart to put her outside again and we had to find a solution…. 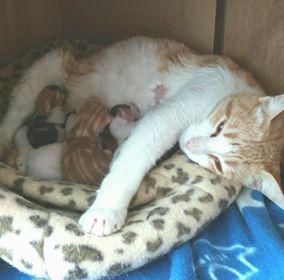 The kittens in kitten room 1 are already old enough to be neutered so we decided that we will neuter them next week and after recovery they can go out of the kitten room so the mummy-to-be will have the kitten room for herself by the time she will have her kittens. We think she’s approximately 6-7 weeks pregnant so she’ll have some time to settle. A new experience for us as we never had kittens born inside because all our cats are neutered. 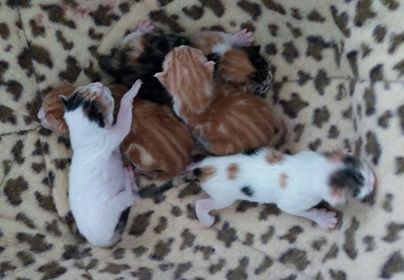 This should make us very happy but we're not good in homing because we love ALL the kittens and cats who are here SO much and that makes it very difficult to trust them in somebody else's hands. We fell in love with Pablo as soon as he came in and we really would have liked to keep him here but when the most nice woman, who already adopted another black kitten from us 3 years ago, told us that she wanted to adopt him, we couldn't say "no" as we knew that he would be pampered for all his life and we are not able to give every cat all the attention like that. So... with pain in our hearts and with a lot of tears... Pablo went to the most gorgeous mummy. We're very happy for him and wish him the very best for the rest of his life. 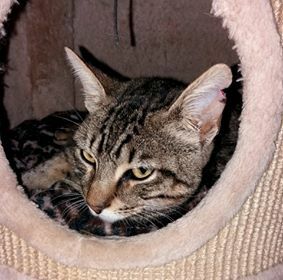 This gorgeous super friendly boy was caught in a colony in Mellieha last Sunday and was neutered yesterday. As he was so super friendly –he only wanted to be cuddled in the recovery cage- we knew already that this wasn’t a stray… he was dumped in this colony! To our DISGUST we found out today that he’s even declawed!!! So this poor boy was adopted once –by a “loving” person or family- who decided that his/her furniture was more important than his well-being and didn’t have any problems with torturing him…. as THAT’s what it is! It’s the same as cutting off your fingertips at the first bone…. HORRIBLE painful! And this was not enough torture…. as soon as he wasn’t a “cute kitten” anymore, he/she decided that he wasn’t wanted anymore and was dumped in a colony, where he couldn’t even fend for himself without nails! 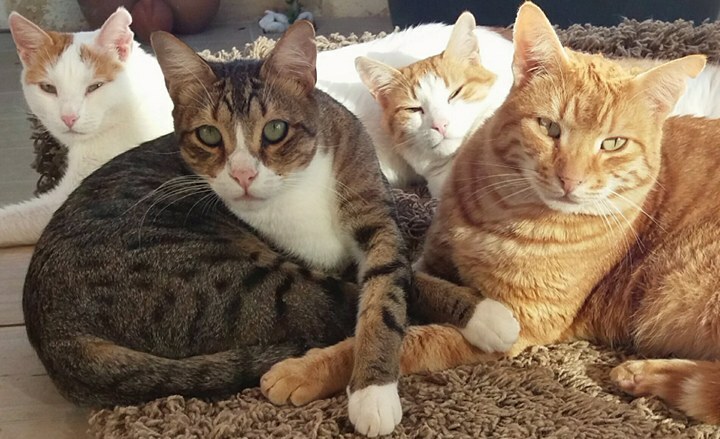 We’re always trying to find out which vets are still declawing; it’s illegal in Malta since a long time but unfortunately it’s still happening…. for the greed of these vets, who shouldn’t be vets. We already know about one vet in Malta and one in Gozo but unfortunately nobody wants/dares to testify. We've asked on Facebook to come forward with names of vets who are still declawing but most probably we won't get any names because the people who declawed their cat KNOW that it's illegal and won't admit. Liam and Dean were born in the garden of a woman who didn't want them and was trying to kill them. Chrissy was saved from a balcony where he was neglected, in the scorching sun without food or water (in fact he was "stolen"). 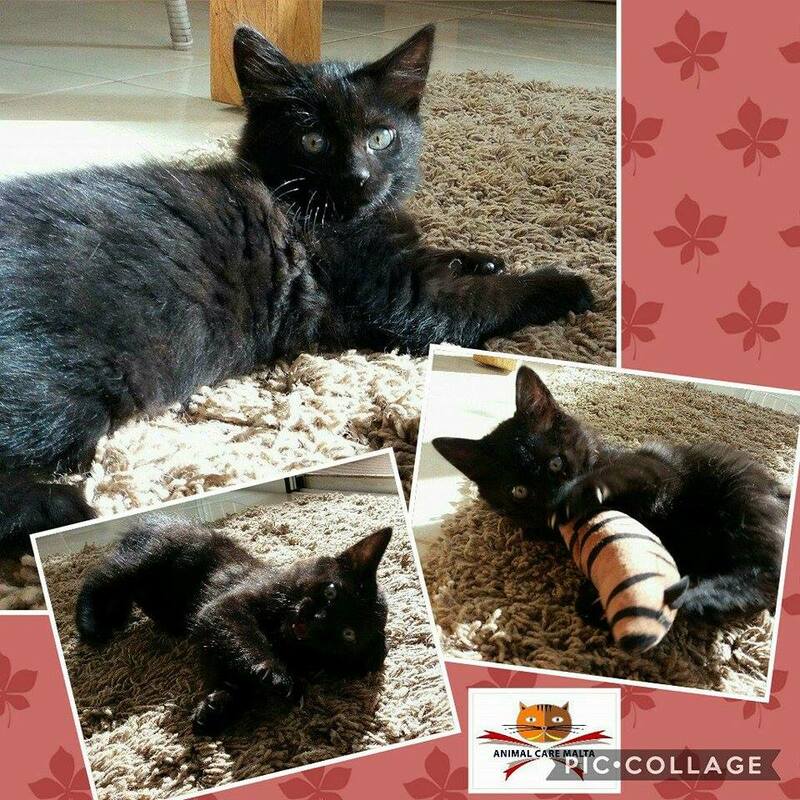 Luigi was saved from a street where all cats were being poisoned.